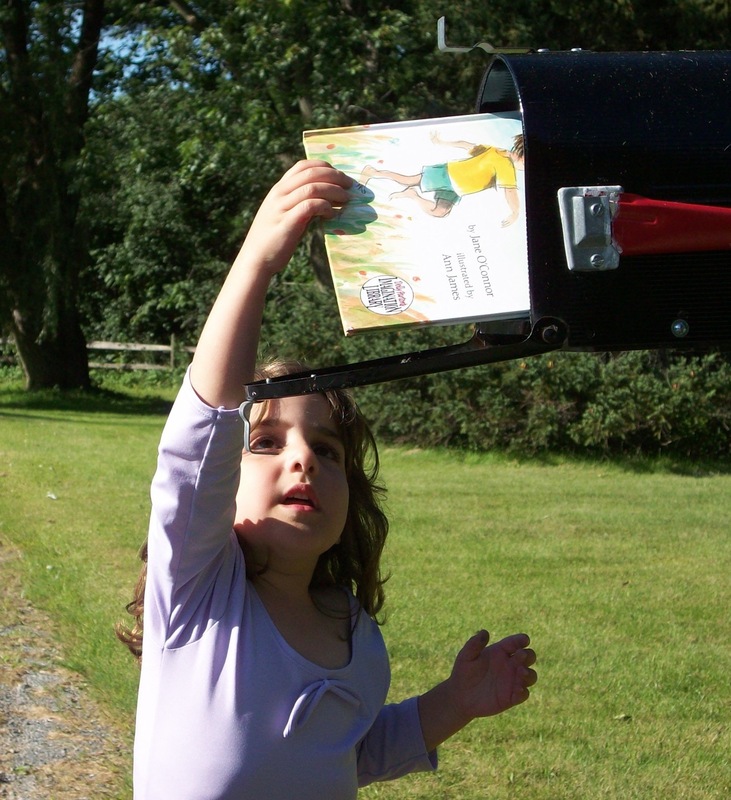 Welcome to the website of Addison County Readers, Inc. We are a not-for-profit volunteer organization dedicated to promoting early literacy and future school success. Every child both tall and small should love to read! Central to this mission is our sponsorship of Dolly Parton’s Imagination Library, a program that sends a book each month to the home of each registered child (birth through five years of age) at no cost to the family. Children of different ages receive different titles; the books are carefully selected and are the children’s to keep. Parents report that their children love these books and look forward to their arrival in the mail. To see a representative list of titles, click here. ACR also collaborates with the nursing staff at the Birthing Center in Porter Medical Center, in Middlebury, VT, in Project Books At Birth. Before leaving the hospital each family is offered a gift bag from ACR that includes a letter of welcome, one free children’s book, and a registration brochure for Dolly Parton’s Imagination Library. Approximately 25 gift bags are given out each month. Funding for the project comes from the Walter Cerf Community Fund. Please browse through our website. If you are a parent of an Addison County preschooler who is not registered for the Imagination Library, you are invited to enroll your child. If there is more than one preschooler in your family, each child can be registered separately and will receive his/her own book. Volunteers at Addison County Readers, Inc., are responsible for raising the $30 per child per year that it costs to deliver books to over 1,100 Addison County preschoolers currently enrolled in the program. We are funded by donations from local organizations and towns, private donors, grants, and through other fund raising activities. We welcome your support, either through a donation or through assisting ACR, Inc. as a volunteer. Please contact us to become involved.